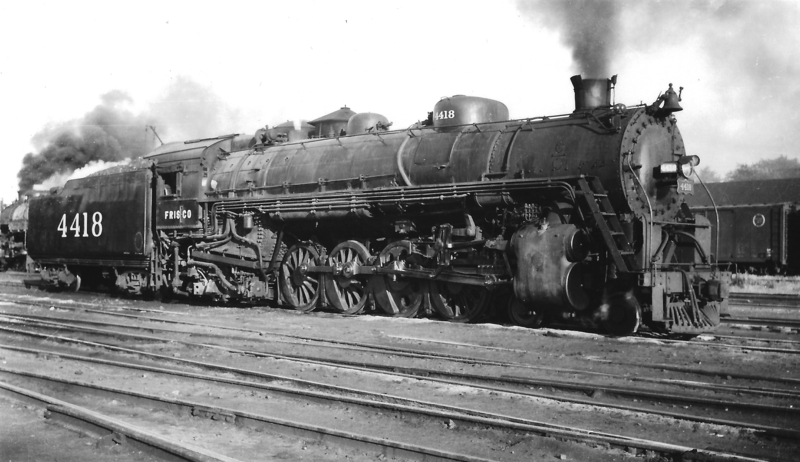 Frisco-built 4-8-2 4418 at Springfield, Missouri on July 13, 1948 (Arthur B. Johnson). 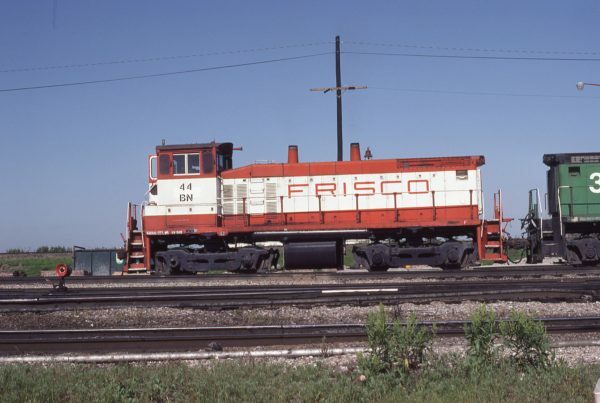 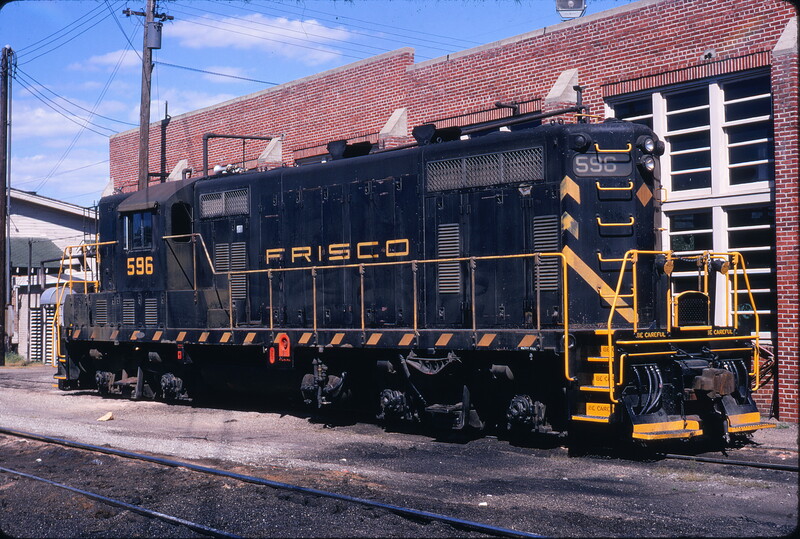 SW1500 44 (Frisco 339) at Kansas City, Missouri on May 22, 1983. GP7 596 at Fort Smith, Arkansas in July 1970 (Keith Ardinger). The location is confirmed by the transformer on the power pole, inverted “L” shaped air or steam line pipe, flood light on the roof, roundhouse window arrangement and wall length. 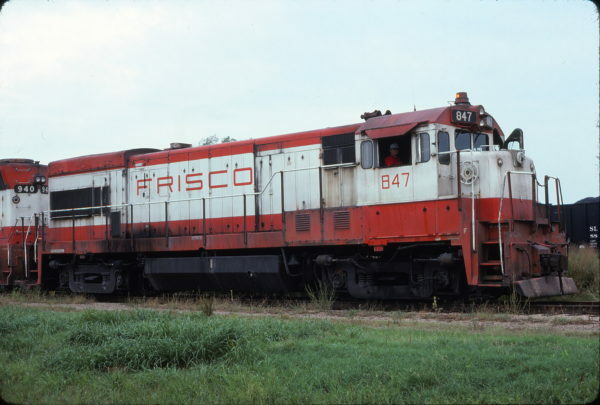 U30B 847 at Chelsea, Ohio on August 19, 1977.